The property outlook in Malaysia remains uncertain with industry players giving mixed feedback. The Malaysian Institute of Estate Agents (MIEA) president K. Soma Sundram believes the local real estate industry is still resilient. “Based on the feedback from our members, they are still doing business as usual, in fact some of them are doing much better. We are not in recession yet, the only thing that is happening now is that investors are adapting a wait-and-see attitude,” he said. “Though the market around KLCC area is expected to go down by 15% to 20%, other places such as Bangsar, Subang Jaya and Damansara Heights are still maintaining their prices,” he added. People with cash were still on the lookout for properties, Soma noted. “First-time buyers for example, are still looking for affordable properties to buy or invest in and real estate agents need to adapt to tap this market and offer suitable locations for them to close more deals,” he said. Soma said with developers giving out more incentives and doing more promotions, there were still plenty of jobs for real estate agents. 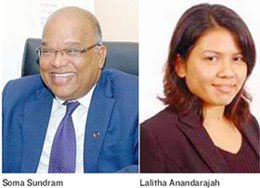 Zerin Properties executive Lalitha Anandarajah, who has been covering sales and leasing of office space in the past few months, said there had been an increase in demand for office spaces, and almost 70% of the enquiries were businesses looking to shift to more competitive rentals. “There has also been an increase in demand for furnished offices to defray costs on renovation,” she said. But at Venture Properties, senior negotiator Gary Lee is beginning to feel the impact of the economic slowdown. “The number of cases has reduced since three to four months ago as the result of the slowdown in the global economy and this include local and foreign parties,” he said. A real estate agent covering both office and residential sales/lease said the market had made a turn for the worse. “Some of my clients aborted plans to secure new premises. It is not a good sign. Even expatriates looking for houses to rent are looking for more short-term agreements,” she said. Another real estate agent said the market was extremely slow especially for the high-end residential units. She said there were still expatriates coming in but their budget was now much lower. “Honestly speaking, I don’t see many European expatriates coming in to the country compared with the previous years. “Right now, I have to change my strategy by expanding my network and focusing on condominiums with much lower rent,” she said. DUBAI: Construction group Bina Puri Holdings Bhd is bidding for RM2 billion worth of jobs in the United Arab Emirates (UAE). Bina Puri general manager (projects) Lee Seng Fong said projects include villas and high-rise buildings in Dubai as well as Abu Dhabi, which will be a good platform for the company to capture the Gulf of Corporation Council countries. They are Saudi Arabia, UAE, Qatar, Oman, Bahrain and Kuwait. "We are also eyeing projects in Syria, but will venture cautiously due to the unpredictable movement of building material prices," Lee told reporters at the sidelines of the Malaysia Services Exhibition 2009. Bina Puri is fresh from bagging a RM693 million project in Brunei earlier this month to build 2,000 homes for the Brunei Economic Development Board. The firm, which currently has an order book of RM2.7 billion, has completed roads, highways, bridgeworks, airport works, water works, residential and offices, hotels, government complexes and hospitals in six countries. CONSTRUCTION company Bina Puri Holdings Bhd is aggressively pursuing projects in the Middle East with the group bidding for about RM2bil worth of potential projects in the United Arab Emirates (UAE). Projects general manager Lee Seng Fong said despite the global economic slowdown, prospects in the Middle East were still good although one must be more cautious when expanding in the region. “Currently, we are present in Dubai, Abu Dhabi, Oman, Bahrian and Syria,” Lee told reporters during the Malaysia Services Exhibition 2009 which ended here last Thursday. Currently, the group has a total order book worth RM2.7bil.